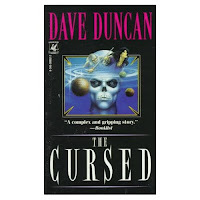 Dave Duncan is a Canadian science fiction and fantasy author. He’s also an incredibly prolific writer with over 40 books to his name in the last 30 years. Duncan is one of the few authors that I mercilessly push on others and one of a remaining handful whose books I continue to buy in a physical format. 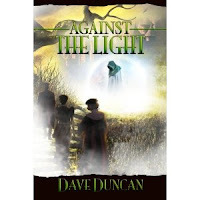 When his latest novel, AGAINST THE LIGHT, was published I took advantage of the opportunity to request an interview with Duncan, to pick his brain about some aspects of his writing that I’ve been ruminating about for years. Iceberg Ink: Your bio suggests that you made the leap to writing professionally later on in life. Was writing something that you were always working at or did you pick it up as time went on? Dave Duncan: As a kid I used to scribble stories in notebooks—never finishing them, needless to say. I do recall trying to write on my grandfather's old Remington 4, which I found in the attic, and getting furious because I couldn't make the right margin align the way it did in real stories. When I had to think of a career, it never occurred to me to try making a living as a writer. For the last twenty years or so of my life as a geologist I was largely reporting to non-geologists, so I got rather good at expressing complicated ideas in simple language. In fact my biggest problem when I switched to fiction was padding it out. Some authors write big and cut (Kipling used the Victorian equivalent of a black marker pen to edit) but I mostly add. I never write a sentence that I don't change somehow. II: You’ve primarily written fantasy but you’ve dabbled in science fiction from time to time. What is it about these genres that appeals to you? DD: They are what I enjoyed reading. I couldn't manage “literary” writing or westerns or detective stories (at least police stories; I do slip mysteries into fantasies once in a while). Nowadays I find I rarely read any fiction, having stories of my own on the go. I read history and science, and that ought to answer your question. Fantasy sells better than sci-fi and is easier to write and I have a reputation as a fantasist. POCK’S WORLD in 2010 was my first sci-fi in almost twenty years. WILDCATTER, coming out this year, will be another. II: I think your affection for history comes across strongly in a lot of your books. What is it about history that you find so compelling, is there a particular period that interests you? DD: I never thought about it, but maybe it's because history comes with answers. Should Napoleon invade Russia – well, we all know the answer to that question, don't we? And yet there are always mysteries. I know one of my ancestors was a ferryman, but what did he do? Row? Reef? Splice mainbraces? And there are always What-Ifs. Suppose Wolfe hadn't taken Quebec in 1759, and thus removed the American colonies' need for British protection from France? Would there have been a revolution 17 years later? And no, I don't stick to one period. The Bronze Age is fascinating –Troy and Mycenae – and before that, even, the coming of the horse people, with their chariots, conquering everywhere from Greece to India and possibly even as far as Britain, because the woad-painted Britons used chariots against Caesar. Venice, the first World War. I've spliced all of them into my stories. II: While we’re on the subject of inspiration, I’d be curious to know what writers you read when you manage to find the time to read fiction. DD: I prefer not to answer that one. II: Hmm. Now you’ve piqued my curiosity. Two of your latest books, POCK’S WORLD and AGAINST THE LIGHT have been printed through smaller publishers, is this a result of the changing publishing landscape? DD: You're into complicated matters here. I admit that my numbers have fallen off lately, but almost everyone's have. Not many years ago LOCUS magazine was proclaiming a 2000-book year. Last year they tracked 3000, and LOCUS is perversely bogged down in the twentieth century, ignoring e-books and Print On Demand. The real total must be thousands more. Furthermore, there's no secret that long fantasy series sell very much better than standalone fantasy novels, and I feel too ancient to start in on any more multi-volume sagas. I've been there, done those, and had good fortune with them. That's the bad news. The good news, for me, is that I have a huge backlog of out-of-print books which are now available as e-books, and bring me into a healthy royalty income. So now I dabble at writing as a hobby and get by on my pensions and royalties whether the books sell or not. (I do like to see them selling, though!) In the case of POCK'S WORLD, Brian Hades of Edge Books is a personal friend and I have been promising him a book for a long time, so I was happy when he accepted a sci-fi book from me, my first in 20 years. I was very shocked at how small presses are treated, though. POCK was well received by those who read it (see the Amazon comments) and ignored by reviewers who had frequently given me starred reviews in the past. There seems to be a major snobbery at work there. AGAINST THE LIGHT was a standalone fantasy, and I sent it to my agent as usual. It was he who suggested that he try Amazon. I would never have thought of submitting a book to them, but I must say they have treated me very well in editing, cover art, and promotion. I am proud to be one of their first authors in the genre. II: Has the transition towards digital books changed the way you get your stories out to readers? I imagine having your back catalogue available in perpetuity can only be a good thing. DD: I've already answered most of that. The answer to both questions is YES. In my first career, as a geologist, I saw the science turned on its head by plate tectonics. It blew our minds as half of everything we'd learned in college was turned upside down. Now I am watching the same thing happen to the publishing business. At the time I am answering your questions, AGAINST THE LIGHT is unavailable in many cities, including the one I live in, because the booksellers are supporting the publishers, who are in a snit about Amazon because Amazon won't issue the e-book in any medium except Kindle. This is a sort of juvenile suicide pact, kindergarten kamikaze. Amazon is begging to have its books pirated, and the merchants are driving buyers to buy from Amazon. I am hopeful that cooler heads will prevail soon. II: It just seems like its publishing’s turn to go through the digital revolution. Music and film and television are further along in the process but so far publishing, for the most part, seems to be holding onto traditional business models. You mentioned that you’ve pretty much finished writing multi-volume fantasy but you’ve got a new book due out shortly, THE DEATH OF NNANJI, which picks up on your first published series, THE SEVENTH SWORD books. What made you decide to check in with Wallie and Nnanji? What was it like visiting the World so many years later? DD: I feel sorry for writers who strike it rich early on and then have to keep digging in the same hole all the rest of their careers. Either they lack imagination or they are only doing it for money (and writing should be a labor of love). The Seventh Sword series was my first success, my previous two standalones having been strictly midlist. In fact it was the first thing I ever wrote in long form, although it went through several re-writes before becoming publishable. At the end of Book Three, the deus-in-machina predicted that there would be no more miracles, which I thought tied a pretty good knot in the tale/tail. My publisher then was Del Rey, and Lester Del Rey insisted a fantasy must have magic in it, which in the World of the Goddess meant miracles, so I staunchly refused many requests for sequels and played Alexander, seeking new worlds to conquer. So, am I prostituting my art to Mammon? I honestly don't think so in this case. I found that the book almost wrote itself, the characters I needed were all happy to come out of retirement, a few new ones volunteered (remember Vixini? he's grown up a lot) and in the end I felt I had contributed a better ending to the series – it truly fits. My first-reader friends agreed that I had even caught the tone of the original, which really did surprise and flatter me. I shall be interested to see if my larger group of fans agrees with them. E-Reads has the original series, so it was natural to offer Richard Curtis the book, and he accepted it sight unseen, which was flattering also. I think it will be well received. II: I wonder if that’s because, as readers, we’ve been conditioned to think that any genre or fantasy novel that isn't wrapped up neatly must have plans for a sequel. But I’m glad that you mentioned magic because I have a question for you about that. One of my pet peeves about fantasy is that ‘magic’ is used too often as a get out of jail free card. Its limitations are poorly defined and it serves as a convenient out for authors who may have written themselves into a corner. Yet, in your writing, the characterization of what magic is and the restrictions behind its usage are different in every book. How important is it to you in your work that magic is specifically quantified and understood? DD: Very! One of the few things that can be taught (as opposed to just learned) about writing is that fiction must be about people. Whether human or not, characters must want, fear, hope, love, etc. in a way that furniture does not. But Speculative Fiction is also about worlds. Fantasy is defined as the deliberate use of the impossible, so in that sense it must include Science Fiction, which is almost invariably about the future, or faster than light travel, or time travel or possibly all of the above. Much of the pleasure I get from writing is devising a world where the impossible seems possible or at least plausible. The Pandemia series was born when I wondered how politics would work in a world of magic, and so came up with the Wardens. (And had many a headache working out just how the words of power could function: if just knowing a word gave you magical power, why weren't the words passed around like jokes?) So logic is very important, for without constraints, magic will dissolve plots. Another way of looking at this, and perhaps a better way, I learned from Orson Scott Card on the only occasion when he and I shared a panel at a convention: magic must have a price. When you look for it, you'll find that any well-constructed and satisfying system of magic obeys that law: the ring corrupts, Gandalf laments that he had to use a word of power (not the same as my words of power). I went home from that particular convention and wrote THE CURSED, where a nasty disease either kills you or leaves you with one of seven types of magical after-effects, and every one of those powers is a two-edged sword. The power to heal includes the power to blight; the ability to “premember” the future means that you can't recall your life before the present, even your childhood and parents. And so on. The system of magic defines the story, and vice versa. In sci-fi of the spaceship variety, the limits of star travel serves the same purpose. In Hollywood the Millennium Falcon goes Whoosh! and nobody ever bothers about refueling. But the dilithium crystals can overheat and she's going to blow any minute, Captain. I expect you've guessed by now that I enjoy writing fiction more than I do reading it. That may be the secret of my success, such as it has been. Thanks for the interesting questions! II: Thanks for the interesting answers! Dave Duncan can be found online at http://www.daveduncan.com/. 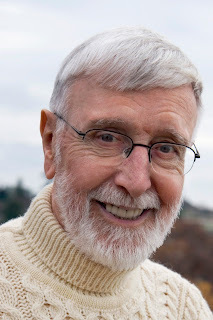 His latest book, THE DEATH OF NNANJI, will be published by E-Reads in 2012 as well as his first entry in a new two book fantasy series, THE STARFOLK. He is a very busy man. Dave Duncan is a charming, talented and polite gentleman. I had the pleasure of meeting him at a Keycon/Canvention about or just before the time "The Reluctant Swordsman" came out. If I remember correctly, he spent most of the convention keeping Gene Wolfe in stitches. I am happy to hear that he is still going strong. Marvelous interview with one of my all-time favorite authors. They are indeed great questions and it was neat to see his answers. Thanks for bringing this to us!